I like your help. 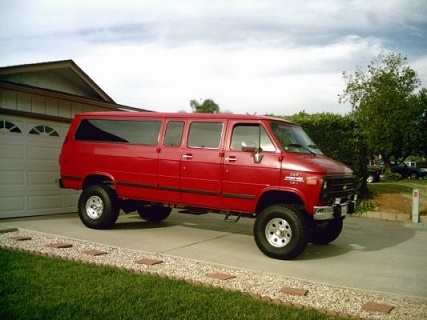 I am looking to lift the rear of my b250 van about 2 inches to get the right look ( nose down rear up) I can only find air bags or air shocks I would prefer blocks or shackles (blocks #1). thank you I see that you lifted your van do you have any sources that will help with my Dodge B205? Just put a 1" block on the rear axle, to see if thats what you want. It can get quite expensive to do a lift or rake job. Most any DECENT 4x4 shop can help with 2” lift blocks as different 4x4s use different width leaf springs.